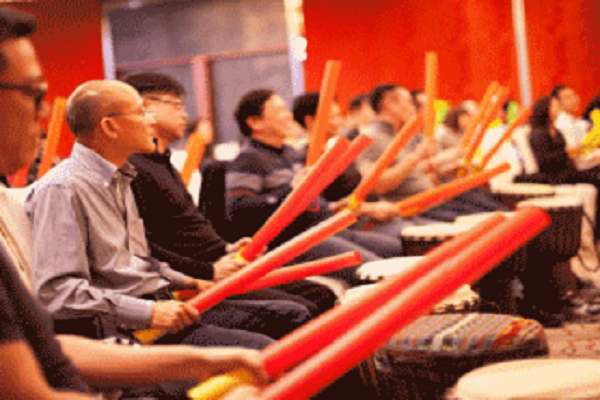 Your team enters the conference room to be met by the sounds of our drums! 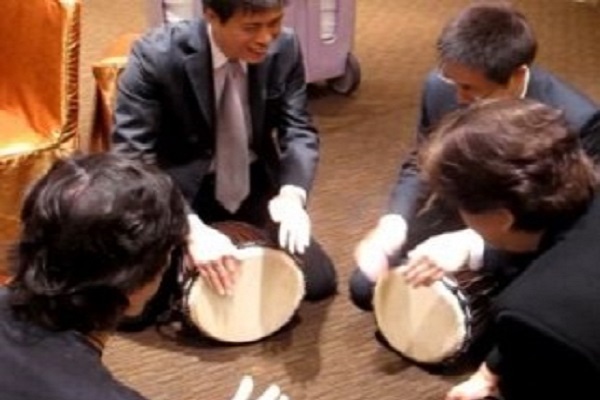 As the surprised guests take their seats they discover a drum in front of them and start our team challenge. This ice breaker game is performed without saying a single word but will guarantee a high-energy performance. Starting with the great teamwork of The Team Builder your group is then split into teams and each group will have to create a team rhythm. Each team then performs their rhythm creation for the rest of the group. 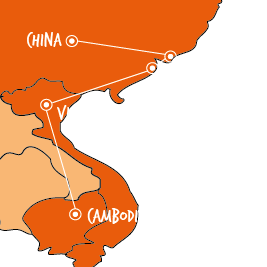 A simple and effective ice breaker that will energise your next team meeting. 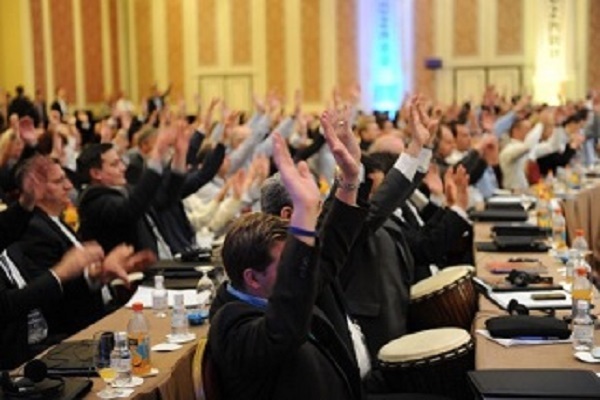 The delegates will be engaged from the beginning to play the drums and participate in the ice breaker games. The best way to start your event with a kick of high energy. All without saying a single word! The best way for leaders to motivate and bond with their team is to surprise them with unexpected talent! 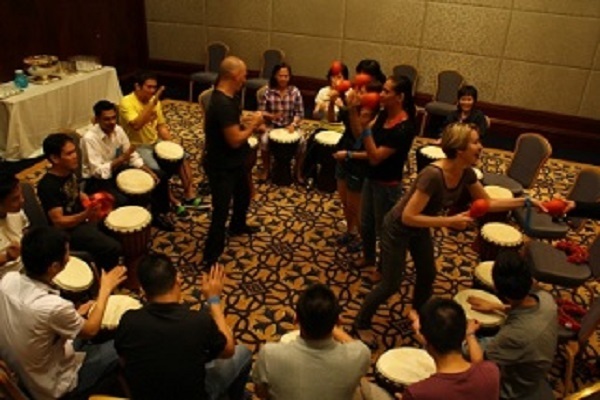 In this drum game, a group of leaders will get together to prepare a musical performance that will be presented to all their team on a opening gala dinner or conference. 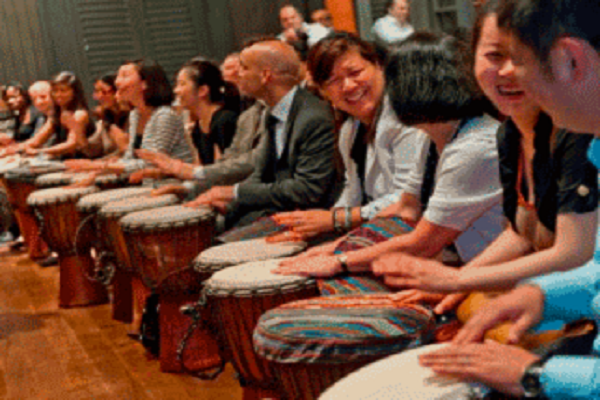 With the guidance of our facilitator, the leaders will receive a training to perform a rhythm and in less than one week the leaders will be ready to do a five minute show that will astonish their team and create that wow effect at your event. 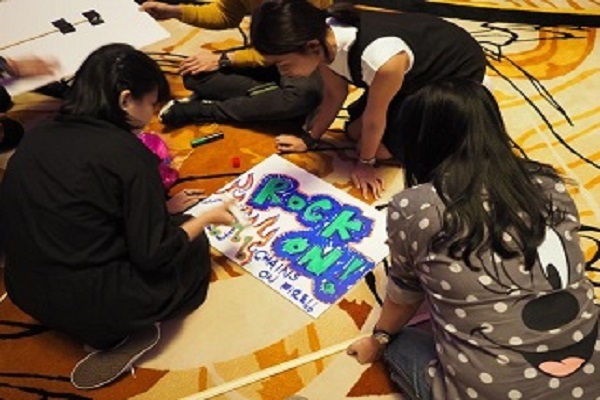 A simple and effective ice breaker that will energise your next team meeting in Hong Kong. The delegates will be engaged from the beginning to play the musical tubes and participate in the team challenge. The best way to start your event with a kick of high energy. All without saying a single word! 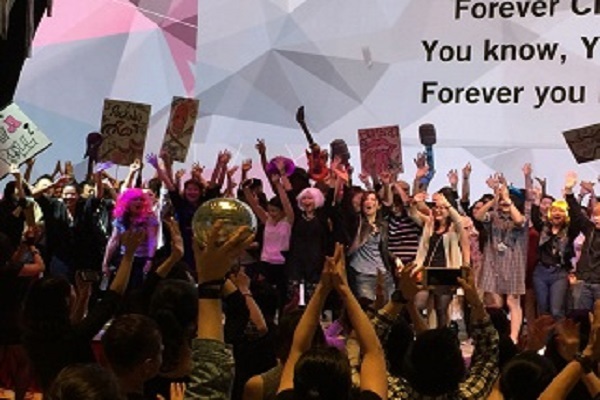 Spice up your next event in Hong Kong with this astonishing team challenge… The Lip Sync Battle! Our fabulous MC will ensure both the ‘lip-syncers’ and audience have the time of their lives in this amazing ice breaker. This is the perfect ice breaker activity where teams write their own completely original songs with help from our musicians. Then perform them in a ‘battle of the bands’ showdown. A panel of judges selects the best song. In this team challenge, no one has to sing alone and no one has to have a musical bone in their body! It’s about having a blast with your colleagues, making connections, being creative, being competitive and then making a difference back in the workplace. Are you prepared for this team challenge and create a anthem? 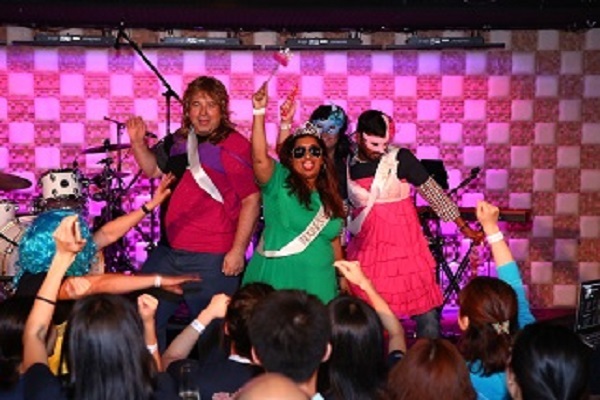 Open your conference in Hong Kong with a bang! Perfect ice breaker for any size group, communicating key event messages as attendees work together to write and perform one original song led by an all-star band. The Team Anthem unleashes creativity and builds group cohesiveness while setting a high-energy environment to keep audiences motivated and engaged throughout this team challenge. Can be a stand-alone program or can fit in between the day’s events/speakers.